· It was Charles Ammi Cutter who first gave a generalised set of rules for subject indexing in his Rules for a Dictionary Catalogue (RDC) published in 1876. 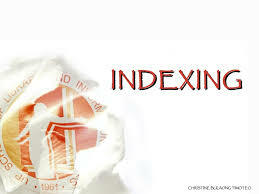 · Cutter never used the term ‘indexing’; he used the term ‘cataloguing’. · He categorized the component terms into two fundamental categories: (1) Concrete and (2) Process. · Concrete refers to l Things, place and abstract terms, not signifying any action or process; e.g. gold, India, Physics, etc. · double entry system for a subject dealing with place/locality; and elaborate system of references. ** one to one relationship among analets. · an alternative procedure for deriving subject headings and generating index entries for British National Bibliography (BNB) which since 1952, was following Chain Indexing. · In 1990, it was decided to revise UKMARC and to replace PRECIS by a more simplified system of subject indexing As a resultComputer Aided Subject System (COMPASS) was introduced for BNB from 1991.